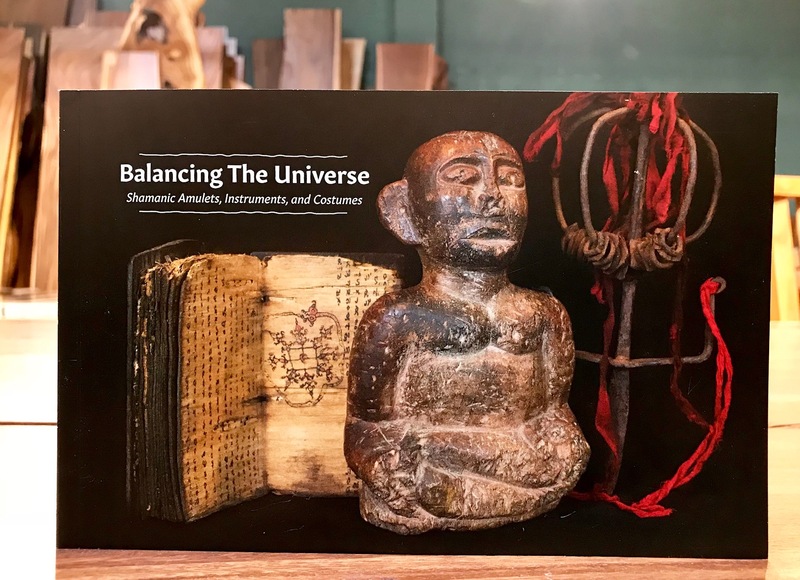 This introduction and following series of related posts on shamanism serve as an online version of our 2017 fall exhibition, ‘Balancing The Universe: Shamanic Amulets, Instruments and Costumes’. We also have a full color photo catalog available of the all the pieces in the show and 12 color postcards of selected pieces. 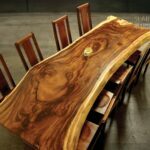 Scroll down to see catalog and cards at end of this post. You have likely heard the term ‘Shaman’, but who were – or, are they? Shamanism is an intriguing phenomenon. Since the beginning of humanity, there has been a need to cure the ailing, and to integrate the physical and spiritual worlds. This universal need gave rise to the art of healing or, ‘Shamanism’. A shaman is a highly trained and disciplined, man or woman, who can enter the spirit world at will to communicate with and influence spirits in service to their community. They have been the keepers of knowledge, the healers, the priests, and the philosophers in virtually all societies around the globe. Animism, the belief that all things have souls, is another globally shared phenomenon and forms the spiritual origins of the rituals and traditions that most of us in the modern western world see as mysterious. But what is art, science or religion without mystery? Art and spirit converge in this show to take you on a journey into the inspiring and enlightening unknown. All shaman have a unique repertoire of amulets, instruments, and costumes essential to their own culture. 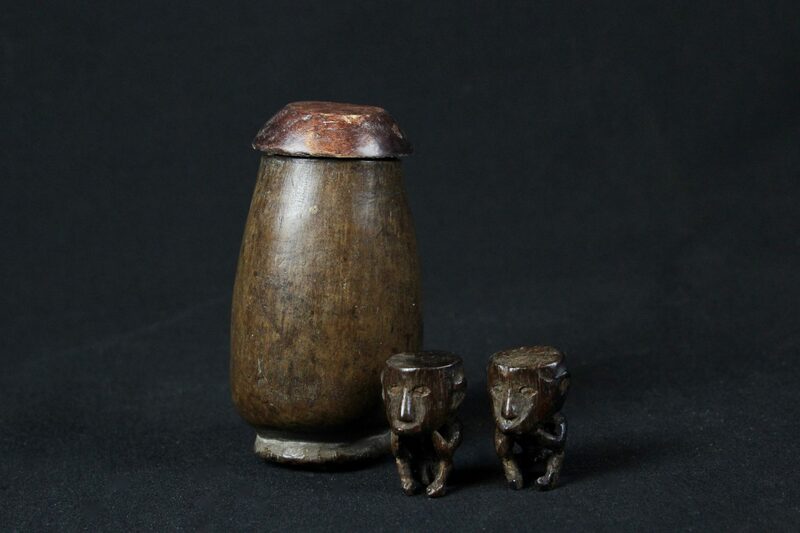 This exhibition includes a wide range of spiritual artifacts personally collected by David Bardwick over the last fifteen years from Nepal, Nagaland and Myanmar, Vietnam and Thailand, and across the Indonesian Islands. 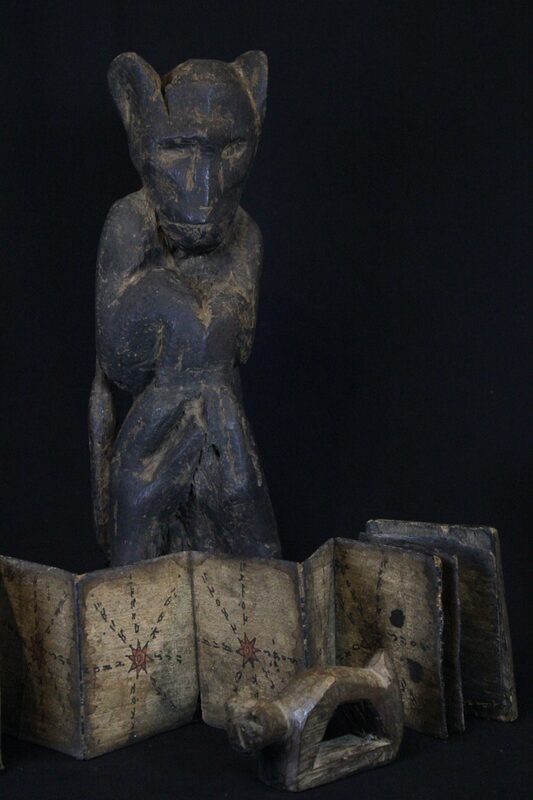 Exhibition Catalog from the Balancing The Universe: Shamanic Amulets, Instruments and Costume. 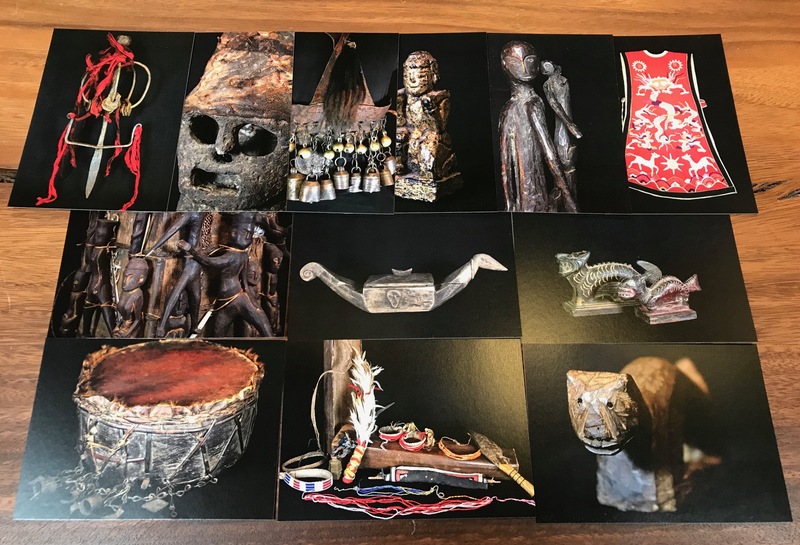 A full color, 72 page catalog of almost all of the Shaman objects in the exhibition. $14. 12 color postcards for $12. Selected shaman pieces from the Balancing The Universe exhibition.